Firestorm has been unleashed on the town! 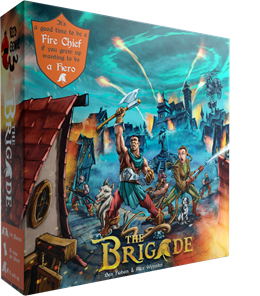 Build your Brigade and save Tinderbox from a magical fire. Magical fire storm has appeared above the Pyromancers University and fireballs are raining down on the city. Take control one of four rival fire wardens and build up your brigade to protect the citizens of Tinderbox. You can support the game's development now via Kickstarter (the project is already funded)!